John Thwaites is a Professorial Fellow, Monash University, and Chair of ClimateWorks Australia and the Monash Sustainable Development Institute. He is a consultant at Maddocks Solicitors providing advice to the firm and its clients on climate change, water, sustainability and corporate social responsibility. He also chairs the Climate Group Ltd in Australia, the Peter Cullen Water and Environment Trust, and the Australian Centre for the Moving Image, Australia's only cultural centre dedicated to film, TV, games and the moving image. He is also a director of the Australian Green Building Council. In 2012, John was named one of the top 100 Global Sustainability Leaders by ABC Carbon and Sustainability Showcase Asia. John chairs a project with the Brotherhood of St Laurence to develop policies to assist low-income Australians cope with the impact of climate change and chaired a joint Brotherhood of St Laurence/KPMG Report on a national energy efficiency program for low income households. In 2008 -2009, John was a special adviser to the Timor-Leste Minister for Infrastructure and helped develop an Infrastructure plan for Timor-Leste. He has advised state and local governments on climate change and energy policy. 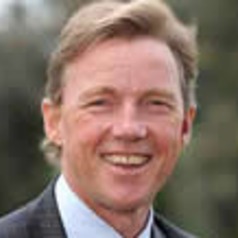 John Thwaites was Deputy Premier of Victoria from 1999 until his retirement in 2007. During this period he was Minister for Health, Minister for Planning, Minister for Environment, Minister for Water, Minister for Victorian Communities and Victoria's first Minister for Climate Change. In these portfolios he was responsible for major reforms in social policy, health, environment and water.